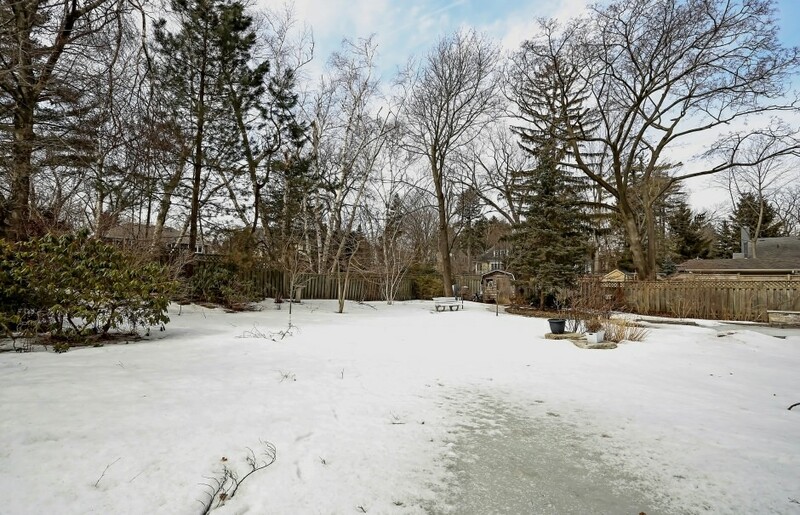 Bachly built custom home on a large, mature treed west exposed lot on one of Oakville's most sought after streets. Exceptional kitchen/family room combination that runs the length of the back of the home and is sun drenched as the back wall of the home is mostly windows. 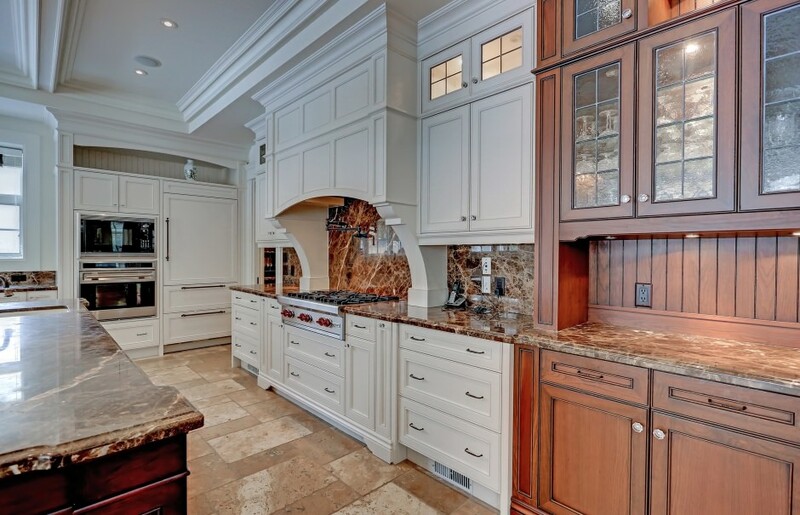 The kitchen features a massive island, ample cabinetry and top of the line appliances. Covered porches with a wood burning fireplace overlook the lush rear gardens. Wisely tucked off to the side to maximize natural green space is a salt water Gunite pool. 10 ft ceiling heights on the 3100 sq ft main level which also features an elegant dining room, a large and private home office, and an inviting foyer with the beautiful staircase being a focal point. 9 ft ceiling heights in the lower level with over 3100 sq ft of finished living space, including a massive recreation room, a dedicated room for home theatre, and an additional bedroom. The upper level features 4 generous bedrooms and a tasteful laundry room. The master retreat features a walk out to a second level balcony, his and her closets, and a gorgeous ensuite. 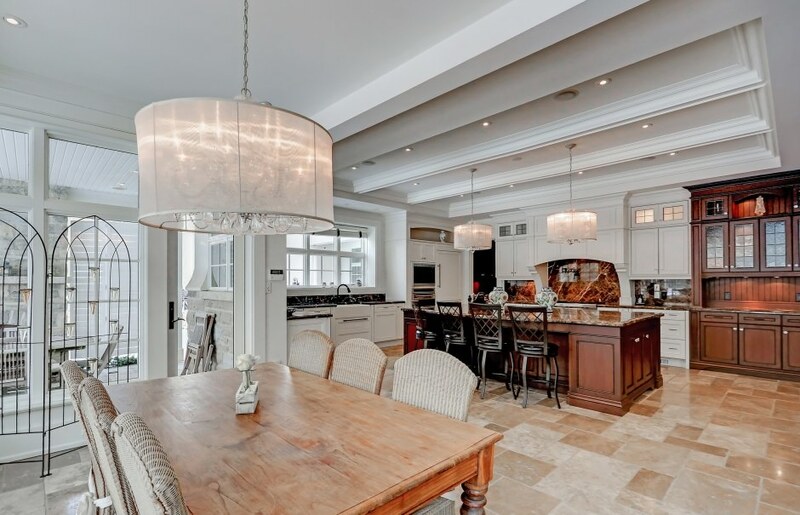 This home provides spacious luxury appointments on a premium sized lot on one of Oakville’s best streets. Only a few steps to lakefront walking trails and a few more to the shops and restaurants of downtown Oakville.